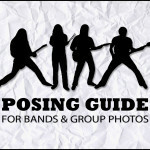 Stumped about what to do for your next band photo shoot? 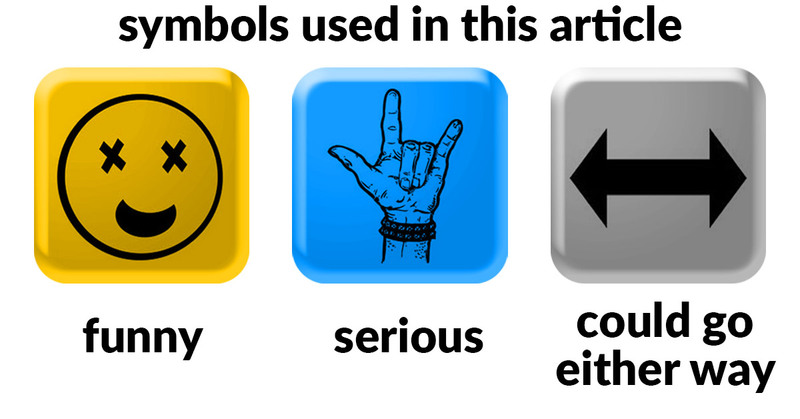 Tired of the same old "stand around on the railroad tracks" or "lean against a brick wall" poses? Yeah, we feel you. And we've got you covered....here are 30 great ideas to get the creative juices flowing. 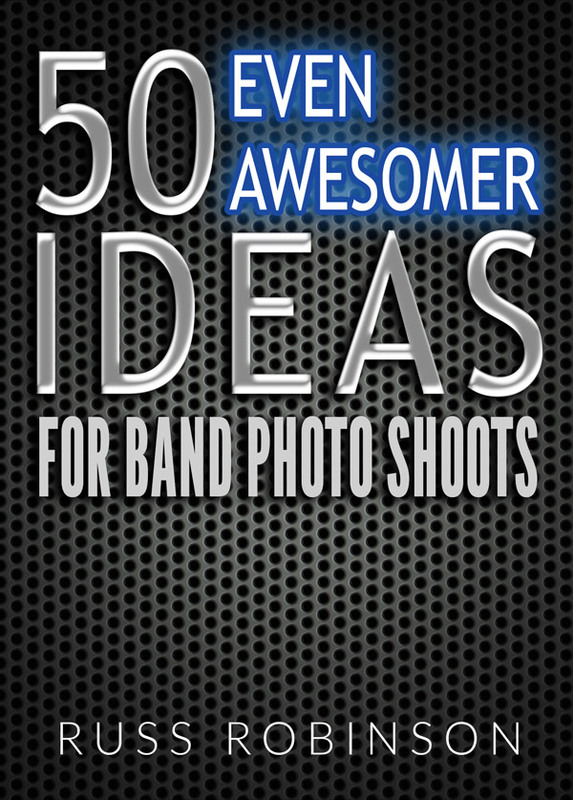 How About 50 Even Awesomer Ideas? Check out our ﻿p﻿﻿remi﻿﻿um eBook﻿....your clients will think you're a genius. 1. Choose the band’s most well-known song, and act out the title (or main theme) visually. Use signs, props, costumes, paint-- whatever gets the point across. 7. Everyone stand in the median of a busy street. Bonus points for getting some motion blur on the passing vehicles. 10. Shadow puppets: Wait until very early or late in a day when shadows are long. Have the band members stand several feet away from a wall, and then use their shadows to create interesting poses, spell a word, or act out a scene. The photographer shoots only the shadows on the wall. 12. All band members rock their best "duck face"
14. Everyone covers themselves with paint. Or glitter. Or silly string. Or all three. 16. Reenact the "hear no evil, speak no evil, see no evil" proverb. If there are 4 (or more) members in the band, have the extra members doing something absurd that the other 3 are reacting to. 18. The ol’ switcheroo: Everyone holds an instrument, but NOT the one they normally play. Each person acts "normal", as if there’s absolutely nothing strange whatsoever about the fact that they’re holding the wrong instrument. Fan upheaval ensues. 19. Use sparklers, glowsticks, flashlights, or some other small light source to spell out the band's name, or maybe a word that’s strongly associated with the band or one of their songs (Note: photographer will probably need to use a slow shutter speed to successfully capture the light trails). 21. Two words: zombie apocalypse. 22. One person stands apart from the group, horrifically embarrassed about something (use your imagination), and the rest of the band is standing around pointing their fingers, making faces, and/or cracking up. 23. Great for guy bands: hold pom-poms and stand on each other’s backs, knees, or shoulders in classic cheerleader pyramid formation. Bonus points for Speedos/g-strings. 26. All band members make their best "Blue Steel" face, as seen in the movie Zoolander. 27. Everyone rocks their best ugly sweater. 30. Everyone is shirtless, wearing karate pants, and rocking an epic Chuck Norris-inspired kung fu pose. 32. Choose a fantabulous 80s-era family portrait from AwkwardFamilyPhotos.com and re-create it. Bonus points for mullets and/or teased hair. 34. Lastly, if the person behind the camera is really handy with Photoshop, this opens up a whole new world of possibilities. Check out our "Before & After" gallery to see some mind-blowing examples. Seriously, check it out...you won't be disappointed!! 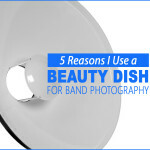 5 big reasons why a beauty dish is often the perfect light modifier for band photography. 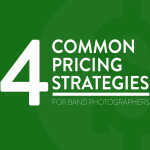 This handy guide lays out the 4 most common pricing strategies for band photographers, and explains the pros and cons of each. 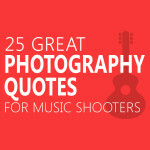 Photography quotes that ALL band & music photographers should take to heart. 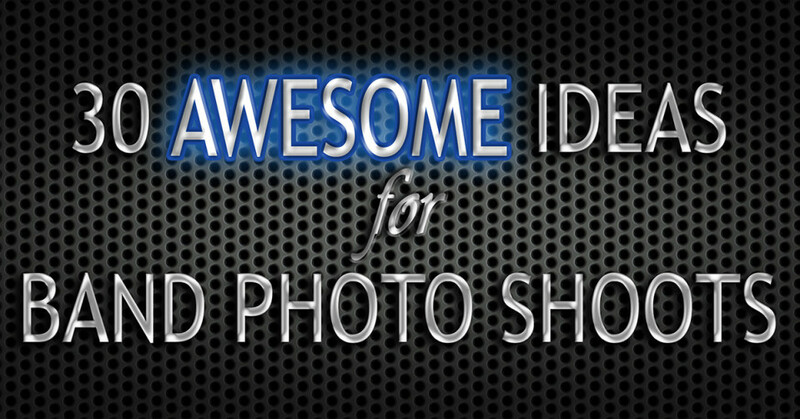 Lots of great ideas for promotional band photo shoots. 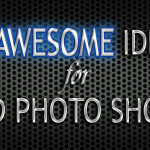 Useful for photographers, musicians, videographers, and anyone looking for fresh ideas. Awesome tips and techniques for posing bands, families, and groups of people. 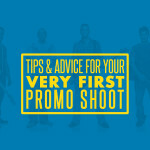 Expert tips & advice to make sure that your very first (and every) promo shoot is a resounding success.